1915 – In AB-2 flying boat, LCDR Henry C. Mustin makes first underway catapult launch from a ship, USS North Carolina, at Pensacola Bay, FL. 1923 – Tests designed to prove the feasibility of launching a small seaplane from a submarine occur at Hampton Roads Naval Base. A Martin MS-1, stored disassembled in a tank on board USS S-1, was removed and assembled. Then the submarine submerged allowing the plane to float free and take off. 1931 – Dirigible USS Los Angeles makes 10 hour flight out of NAS Lakehurst, NJ, carrying 207 persons, establishing a new record for the number of passengers carried into the air by a single craft. 1944 – TF 38 (Vice Admiral John S. McCain) begins 2 days of carrier strikes on Luzon, Philippines. 1945 – Ensign Jake C. West (VF-41) makes first jet landing on board a carrier, USS Wake Island (CVE-65). 1950 – Task Force 77 makes first attack on the Yalu River bridges. In first engagement between MIG-15 and F9F jets (USS Philippine Sea), LCDR William T. Amen (VF-111) shoots down a MIG and becomes first Navy pilot to shoot down a jet aircraft. 1951 – Soviet aircraft shoot at Neptune Patrol bomber (VP-6) on weather reconnaissance mission near Siberia. U.S. aircraft fails to return. 1956 – Navy Stratolab balloon (LCDRs Malcolm D. Ross and M. Lee Lewis) better world height record soaring to 76,000 feet over Black Hills, SD, on flight to gather meteorological, cosmic ray, and other scientific data. 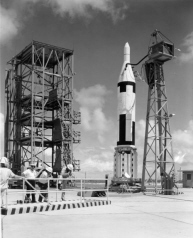 1956 – Secretary of the Navy proposes the Polaris missile program to the Secretary of Defense. 1961 – After Hurricane Hattie, helicopters from USS Antietam begin relief operations at British Honduras providing medical personnel, medical supplies, general supplies, and water. 1967 – Helicopter from USS Coral Sea (CVA-43) rescues 37-man crew of Liberian freighter Royal Fortunes aground on reef in Tonkin Gulf. 1910 – Civilian Eugene Ely pilots first aircraft to take-off from a ship, USS Birmingham (CL-2) at Hampton Roads, VA. He lands safely on Willoughby Spit, Norfolk, VA.
1944 – Carrier aircraft attack Japanese shipping in Philippines sinking five ships and damaging one. 1912 – LT Theodore Ellyson makes first successful launching of an airplane (A-3) by catapult at the Washington Navy Yard. 1943 – Two Carrier Task Forces strike Japanese shipping at Rabaul, sinking one carrier and damaging other ships. Raid was first use of SB2C Curtiss Helldivers in combat. 1966 – Launch of Gemini 12, with CDR James A. Lovell, Jr., USN the command Pilot. Mission lasted 3 days, 22 hours and 34 minutes and included 59 orbits at an altitude of 162.7 nautical miles. Recovery by HS-11 helicopter from USS Wasp (CVS-18). 1943 – Fifth Fleet carriers begin long range night bombing attacks on Japanese positions in Gilberts and Marshalls in preparation for landings. 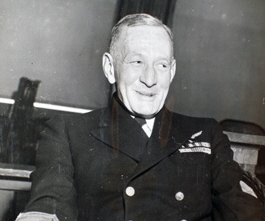 1914 – Title Director of Naval Aeronautics established. 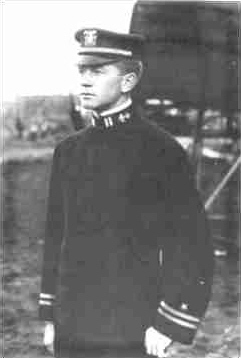 1922 – CDR Kenneth Whiting in a PT seaplane, makes first catapult launching from aircraft carrier, USS Langley, at anchor in the York River. 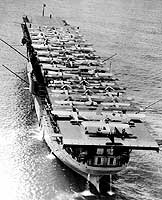 1924 – USS Langley, first aircraft carrier, reports for duty. 1933 – Navy crew (LCDR Thomas G. W. Settle, USN, and MAJ Chester I. Fordney, USMC) sets a world altitude record in balloon (62,237 ft.) in flight into stratosphere. 1942 – Navy’s first Night Fighter squadron (VMF(N)-531) established at Cherry Point, NC. 1943 – Carrier force attacks bases on Tarawa and Makin begun. 1969 – Navy astronauts CDR Charles Conrad Jr. and CDR Alan L. Bean are 3rd and 4th men to walk on the moon. They were part of Apollo 12 mission. CDR Richard F. Gordon, Jr., the Command Module Pilot, remained in lunar orbit. During the mission lasting 19 days, 4 hours, and 36 minutes, the astronauts recovered 243 lbs of lunar material. Recovery by HS-4 helicopters from USS Hornet (CVS-12). 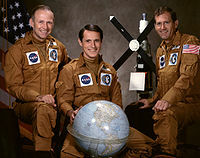 1973 – Launch of Skylab 4 under command of LTC Gerald P. Carr, USMC. The missions lasted 84 days and included 1,214 Earth orbits. Recovery by USS New Orleans (LPH-11). 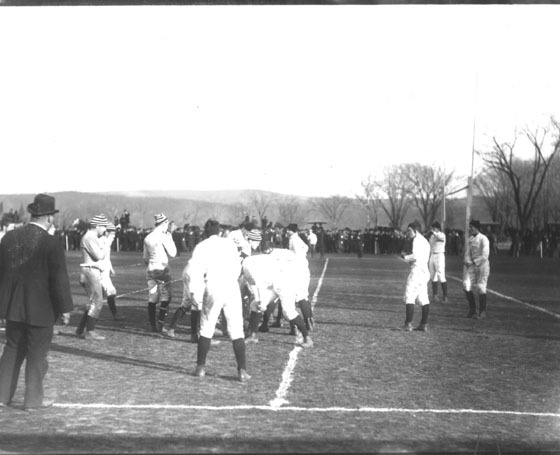 1890 – First Army-Navy football game (Navy won 24 to 0). 1941 – USS Enterprise (CV-6) sails from Pearl Harbor for Wake Island to ferry Marine aircraft to island. 1961 – Commissioning of USS Enterprise (CVA(N)-65), the first nuclear powered aircraft carrier, at Newport News. 1969 – HS-4 from USS Hornet (CVS-12) recovers Apollo 12’s all-Navy crew of astronauts, Commanders Richard Gordon, Charles Conrad, and Alan Bean, after moon landing by Conrad and Bean.